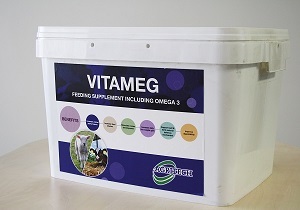 Research indicates that a calf receiving trace minerals and vitamins tends to wean off heavier and stay healthier once it starts to consume feed. They have an improved immune system and are more resistant to disease and respond better to vaccinations etc. Welmin Calf Mineral Supplements have been designed with all these factors in mind. Thrivovit milk acidifier is a whole milk supplement specially formulated with organic acids and concentrated levels of vitamins. Designed for use as an acidified nutritional supplement for calves fed on whole milk. Lowers the pH in whole milk. Organic acids allow better digestion and utilisation of milk proteins and fats. The lower pH factor maintains a digestive acidity level that is not conducive to pathogenic bacteria growth. Calves realise early growth potential with better digestion of nutrients. Fortification with vitamins supports healthy bodily functions. Vitastart is designed for use as a source of electrolyte salts and energy, maintain water balance and to provide a readily available glucose supply. Ideal to replenish fluids as a treatment for neo natal calf scours. 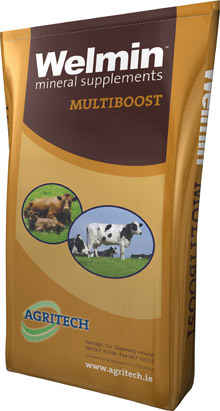 Excellent supplement to boost purchased calves on arrival or in any stress situation. Contains sodium bicarbonate to counter the acidic digestive effects of calf scour. Contains vitamin A, D3 and E for quicker recovery. Vitastart is not a veterinary medicine. 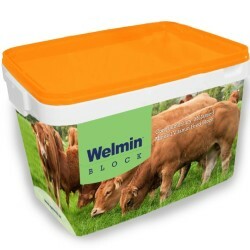 To buy our Welmin Calf Mineral Supplements, contact your local distributor.